When it comes to growing your client base and offering multiple solutions to pay, the Merchant Account Solutions company is one of the top-rated options out there. 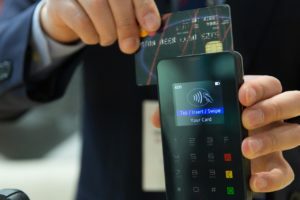 If you’re already offering credit card processing or you’re considering it, here are a few reasons you may want to check out Merchant Account Solutions over the “other guys” out there. When you set up your credit card processing services, you can take advantage of the free set up that is offered by Merchant Account Solutions. They have a very knowledgeable and experienced technician come out to set up your business and make sure that you’re ready to go once they leave. This makes it easy to start taking credit cards, Android pay or Apple pay right away. Another added benefit to this company over others is that you’re not tied down to the company with a long, drawn out contract. There’s no signing of the contract to keep the services. You can cancel it at any time by talking to one of the friendly customer representatives. You also receive a free credit card machine in the setup process that will accept a variety of payments. Those payments accepted include the new chip cards, mobile payment options, e-checks and more. Not only do you gain a low-cost guarantee from working with this company, you’ll also be able to rest easy knowing your price is protected. That means you can know what to expect each month for your fees instead of how other companies vary in fees from month-to-month. This helps you to know what to expect and keep your budget and bottom line intact. One final benefit to working with this company is that your deposits are there on the next day. There’s no waiting around and wondering when your money will be deposited into your account. With Merchant Account Solutions, you have peace of mind, a budget friendly system, and a company backing you 100%.